As owner of Coffee, Books, and More, Jill Gardner looks forward to the hustle and bustle of holiday shoppers. But when the mayor ropes her into being the liaison for a new work program, 'tis the season to be wary. Local businesses are afraid that the interns will be delinquents, punks, or worse. For Jill, nothing's worse than Ted Hendricks - the jerk who runs the program. After a few run-ins, Jill's ready to kill the guy. That, however, turns out to be unnecessary when she finds Ted in his car - dead as a doornail. Detective Greg King assumes it's a suicide. Jill thinks it's murder. And if the holidays weren't stressful enough, a spoiled blonde wants to sue the city for breaking her heel. Jill has to act fast to solve this mess - before the other shoe drops. Actually, it is both. 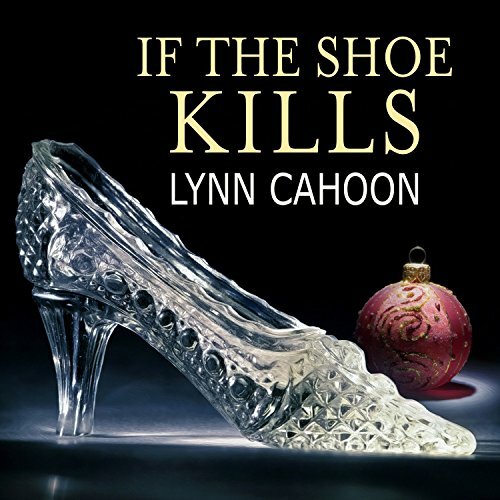 If the Shoe Kills is a lighthearted and fun novel that is mostly about women's relationships with each other and with the opposite gender. But there is also a murder mystery to be solved. 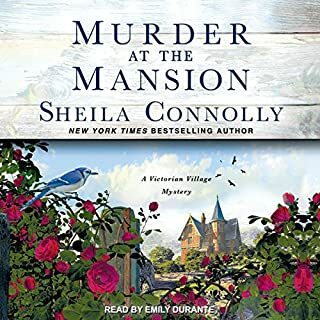 This book is fun listening especially after the four thrillers I listened to earlier in the week. It is a nice break. Narration is perfect! This series is just delightful. No, it's not fine literature, but if you're driving or doing chores, it's highly entertaining. 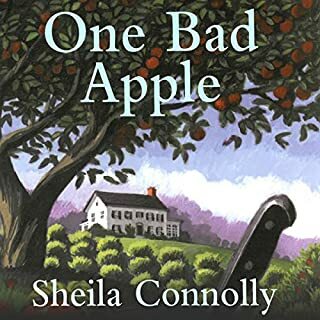 The characters are nuanced enough and the stories are interesting. Please hurry up with #4!!! This book was just as good as the first. Kept me guessing until the end. Although the end seemed a little rushed. I love the house, her Shop and the town. I would recommend this series so far. 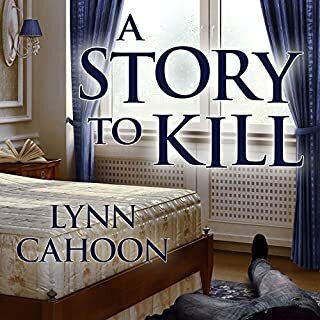 Lynn Cahoon is doing a wonderful job with character development. The characters become more like friends. 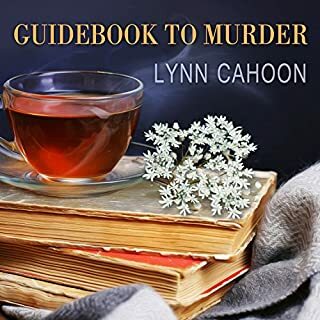 I highly recommend this book to those who are fans of cozy mysteries. I really like this series ,I got hooked on book number 1, I like all the characters in the book , the way the author describes the coffee -Bookshop and the town it makes you feel like you're there. I enjoyed the first book a lot. A nice listen in the car on trips. The second one was good. This one seems to be much the same. The heroine is portrayed as a bit dull and flighty. The other characters don't like her. The boyfriend wants to wrap her in gauze and keep her safe at home. The story line is a bit predictable from the first two books: Same general story, Different names. I'll read the next one but no more if they stay predictable. Would you listen to If the Shoe Kills again? Why? Maybe in a few years. I will forget the ending by then. Not on the edge of my seat, but certainly engaged. No idea. She does a fine job. Don't wish to provide a spoiler. 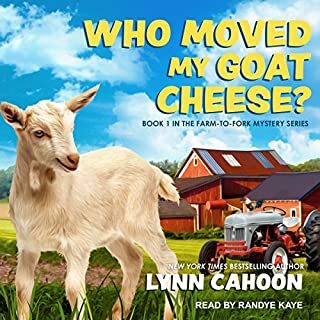 These stories have good bones, but Jill annoys the heck out of me. The internal voice of this presumably 30-something woman sounds like an insecure, elderly church lady. Her idioms are way out of date for someone born in the 80s. She lets other people push her around, stresses out over any real or perceived social gaffe, and worries that her condescending boyfriend will be mad at her every time she has an independent thought. Not to mention her septagenarian attitude towards technology. She's the owner of the business and grouses about poor tippers. You're not supposed to tip the owner anyway! In the first book, she complains in the opening scene about "keeping the change" from $5 for a $3.50 espresso drink. In my world that's a pretty hefty tip. 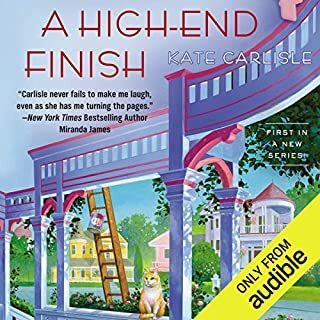 But the characters are colorful and distinct enough to easily keep track of, the settiing is appealing, and it's a good listen while doing other things. While I enjoy all the books in this series, this one appeared to be missing something. I felt like the character was killed off too quickly. I would have liked to know more about the character so I could have reacted to the killing. I ENJOYED the book,but I liked book 1 and 2 better. If the Shoe Kills had a few areas that were boring, didn't keep my interest like the first 2 in the series.